In Prototyping Lab, we aim to develop and materialize ideas that form in creative minds. We provide physical and digital prototyping equipment in our laboratory to individuals with a common purpose and a passion for production, and help them to turn their ideas into designs, and their designs into products. We are part of the Fablab network! We are part of the Fablab network! Our Prototyping Lab continues to produce as part of the Fablab global network. Fablabs, which started as a support project by the MIT Center for Bits and Atoms (CBA), have more than 400 spaces worldwide that provide access to modern tools for production. 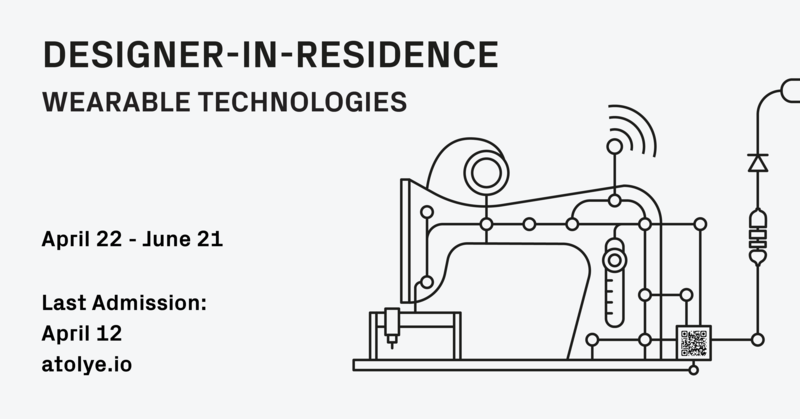 ATÖLYE is launching the third edition of Designer-in-Residence program, where it aims to integrate innovation and creativity, under the theme “Wearable Technologies”. With this theme, we create a space to explore “wearable technologies”, which sounded like science fiction only a few generations ago but became the technology of the era and also a part of our daily lives with a great shift in a short time. We invite multidisciplinary designers who will take the technology a step further, who are keen on diving deep into the topic “internet of things”, and discovering journeys of devices which becomes “smart”, and their interaction with the human body. We graduated our first guest in the Designer-in-Residence program on February 15th. The first resident of Designer-in- Residence is Bilge Nur Saltık, a designer from Istanbul, produced new techniques and textures to uncover the potential of foam in her material-focused project. Nur worked on how the foam interacts with different materials such as soap, wood, and resin, and how they are all going to be used in the acoustical panel and scent dispensary areas. After all these works, she shared the design process and her works with a mini exhibition and presentation at ATÖLYE. We believe in the power of making. Using the physical and digital equipment in the Prototyping Lab, we create open workshops geared towards discovery and production. We bring together individuals eager to create and learn in Prototyping Lab. Let’s do your projects, create your designs and realize your ideas together.